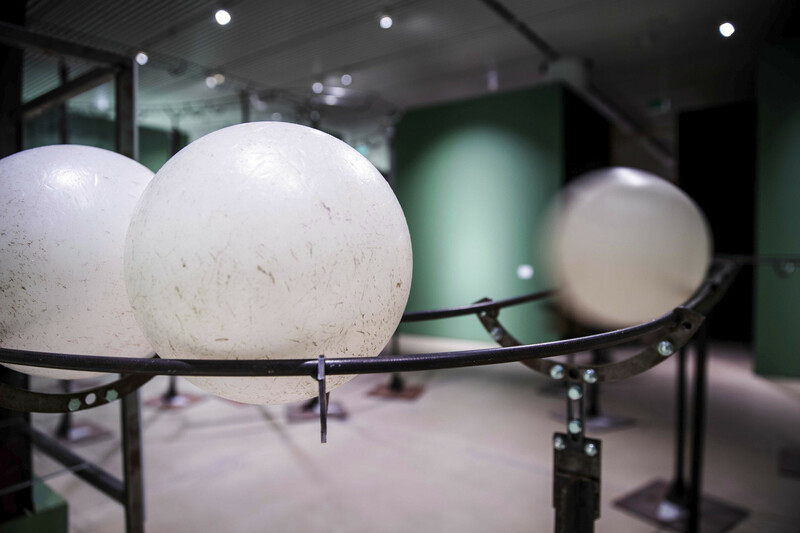 A sensor registers when visitors step into the gallery space and a ball is promptly released. 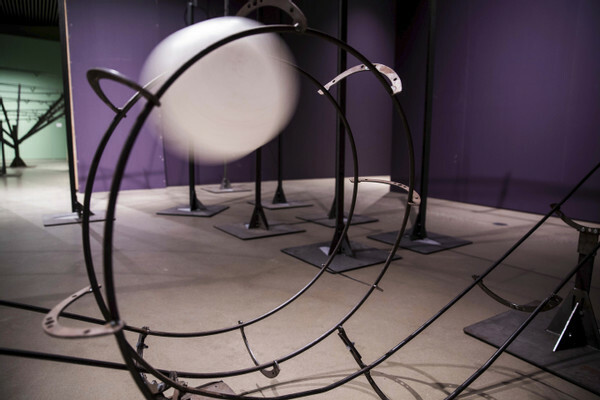 The ball starts its journey through the tracks and by following your ball, you will be moving about a jumble of loops, sharp corners, hoists, and drops. 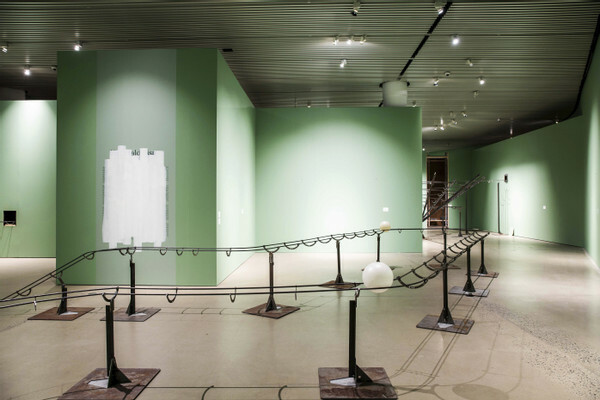 The work is designed in modular steel profiles, which means that the tracks of the roller coaster will vary from one presentation to the next. Assisted by the New Carlsberg Foundation, ARoS acquired Distance following Jeppe Hein’s solo exhibition Sense City in 2009. 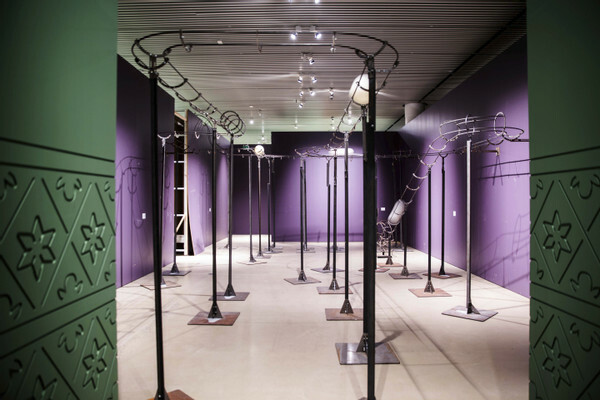 The installation has since been loaned to the Indianapolis Museum of Contemporary Art in the USA and to the Sørlandets Kunstmuseum in Kristiansand, Norway.